There are few regions of the Oregon Coast that are more widely known – or photographed – than Clatsop County. 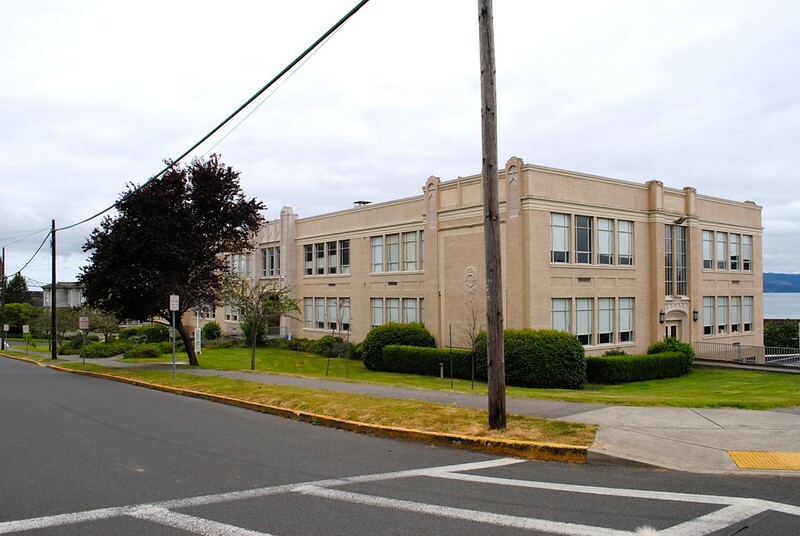 Encompassing the most northwest corner of the State of Oregon, Clatsop County is home to Astoria, Cannon Beach, and the rugged Clatsop State Forest. It’s also a place of undisputed beauty where Mother Nature is at her finest. My husband and I have been visiting the northern Oregon Coast every summer since we met, and each visit is more memorable than the one before it. Normally we camp while there, picking a central location that allows us to make mini day trips throughout the region. 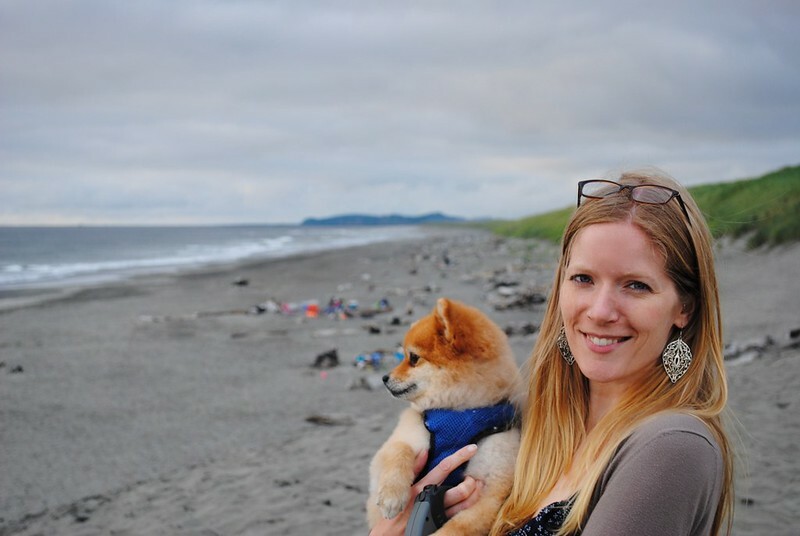 As a dog owner, one of the things I love most about visiting Clatsop County is how truly dog-friendly the area is, so it’s easy to make our trips there a true family vacation with no one left behind. Year after year, we get more familiar with where the best places to camp are, where the tastiest meals can be found, and we have discovered a few gems that feel entirely like our own. 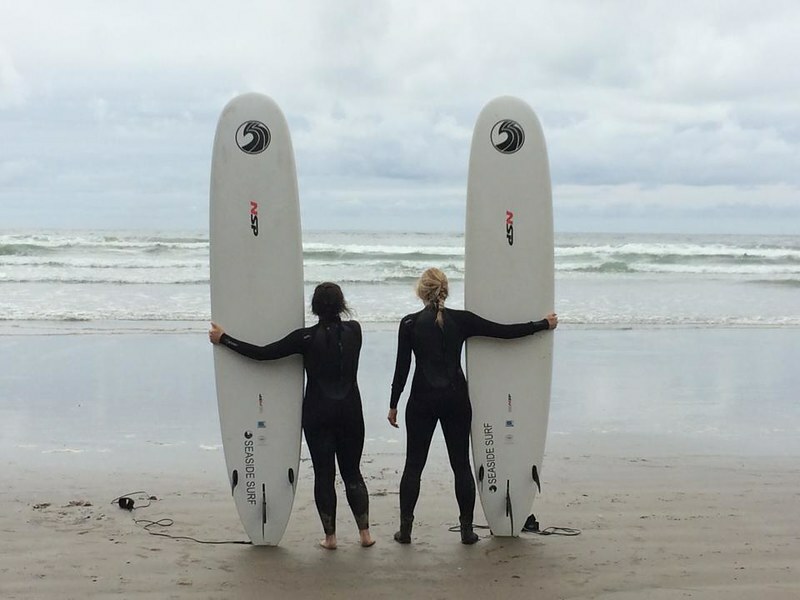 What’s great about Clatsop County is that it’s a place everyone can enjoy: there’s deep history, unique shopping, hiking for all levels of experience, and no shortage of great beaches. 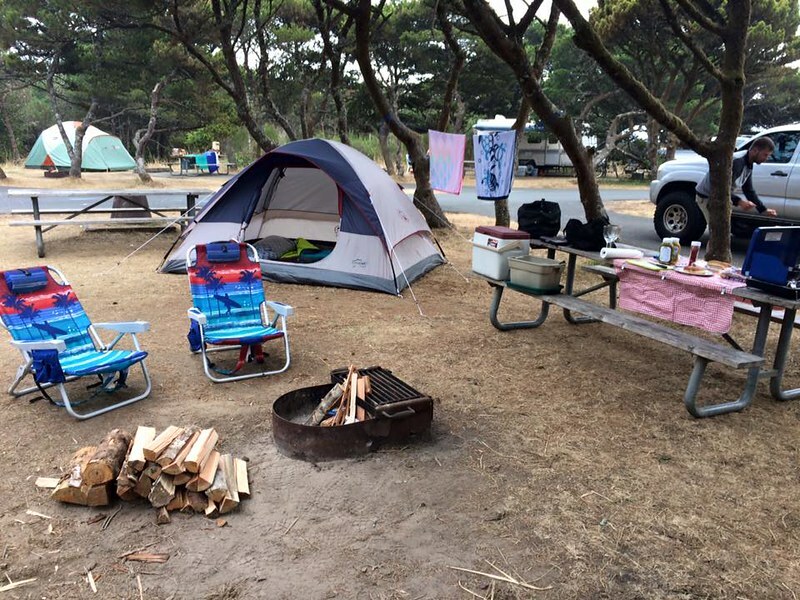 Best Place to Pitch a Tent: Any State-run campground. 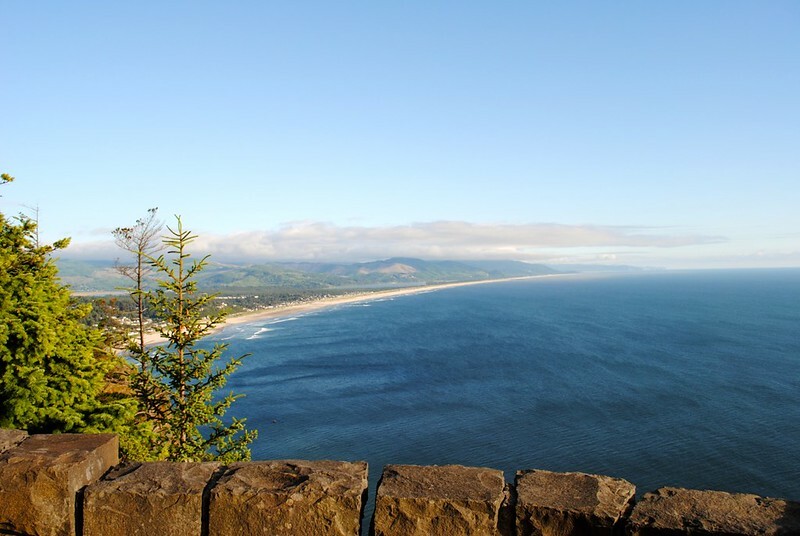 Fort Stevens and Nehalem Bay are my favorites (though Nehalem Bay is just slightly south of the county line). Both have plentiful facilities like hot showers while also being steps away from stunning stretches of beachfront. The sites are spacious and lush, but be prepared for mosquitoes in the summertime at Fort Stevens State Park. Best Beach: I’m a lover of the ocean and always have been. Whether I’m surfing on it or simply stretched out on the shoreline and listening to the waves, the ocean feels like home to me. That said, it’s hard for me to pick an absolute favorite. If privacy is what you’re looking for, Sunset Beach is perfect. 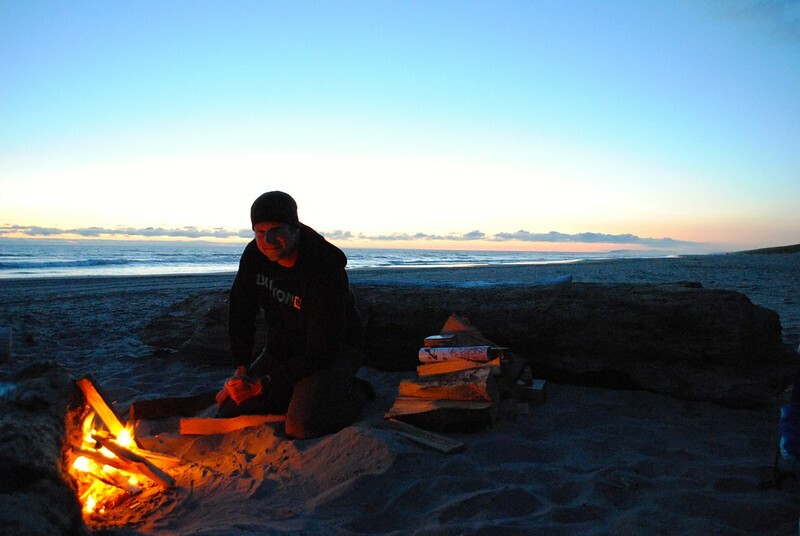 We love it in the evening for beach fires and local wine. 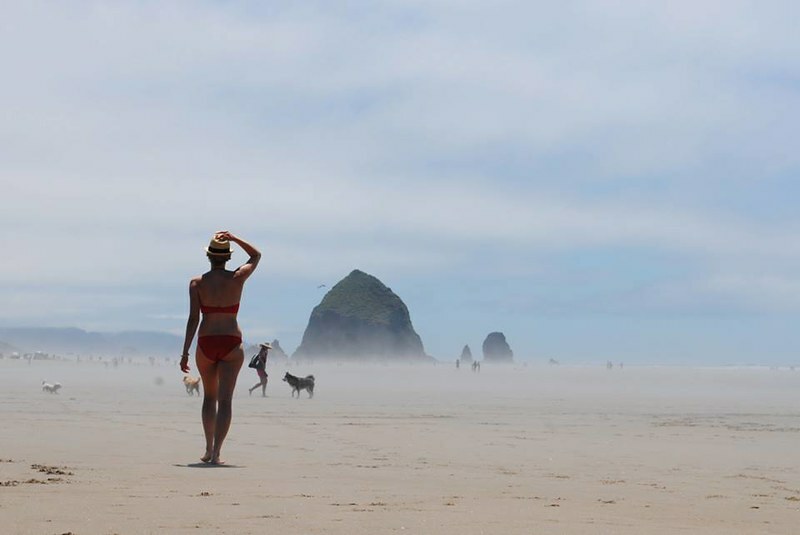 For a day of lounging under the sun, Cannon Beach is your best bet, but don’t leave your kettle corn unattended. I know this from experience and a chance encounter with a large flock of seagulls. Lastly, for surfing and smaller crowds, get up early and grab a spot at Indian Beach in Ecola State Park. The parking lot is limited in size, so only a small number of people are allowed at the beach at any given time. Best Place to Feel Nostalgic: With its carousel, abundant supply of handmade salt water taffy, and skies dotted with kites, visiting Seaside is a step back in time. Even the town’s name evokes images of the kind of childhood beach vacations only found in the movies. Best Place to Grab a Beer: Beer lovers will be in hops heaven in Clatsop Country. 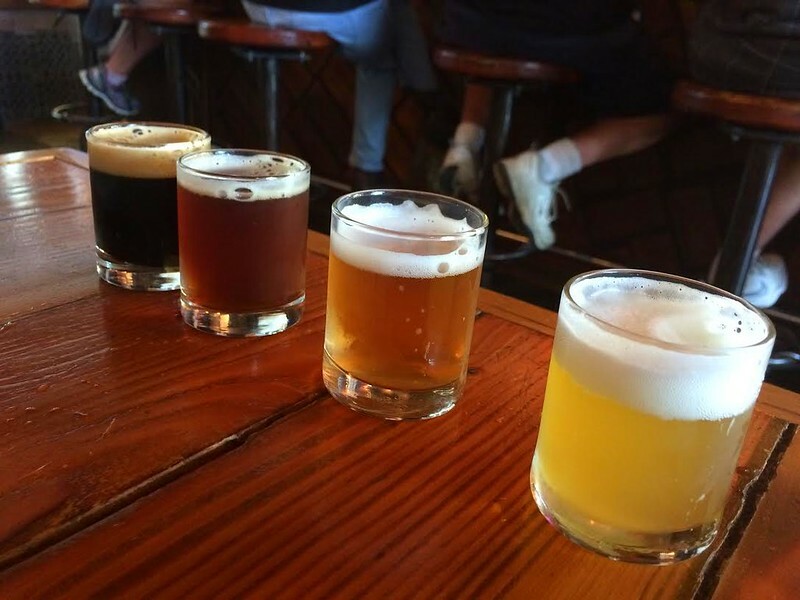 The North Coast Craft Beer Trail will give you the perfect excuse to travel Highway 101 sampling the best of 10 local craft breweries. Our favorite stop on the trail is at the Fort George Brewery + Public House in downtown Astoria. Housed in a restored warehouse that’s nearly 100 years old, this brewery rotates through about a dozen craft beers at any given time. Best Place to Explore History: Again, too many decisions! 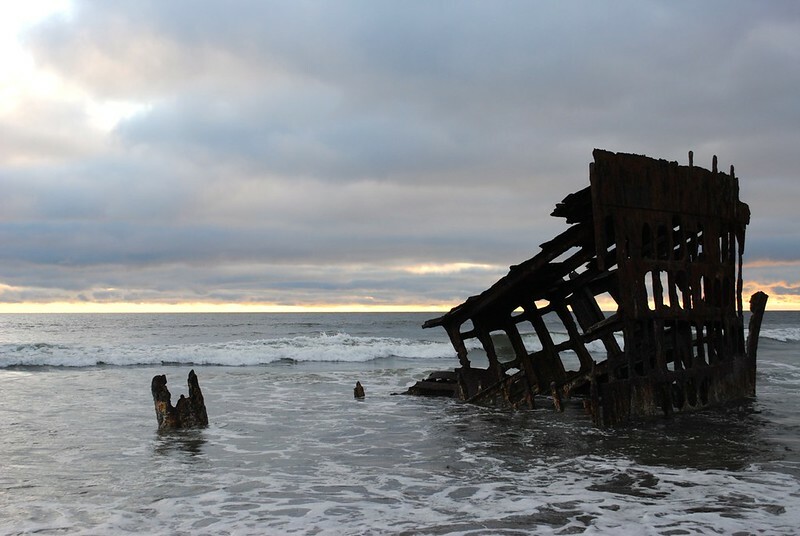 The shipwreck of the Peter Iredale on Sunset Beach is a close tie with nearby Fort Stevens, dating back to the American Civil War. If you want to dig even deeper into history, check out Fort Clatsop outside of Warrenton. Here you’ll explore a recreation of the winter fort that Lewis and Clark, along with the Corps of Discovery, stayed in during the winter of 1805 before they explored the Oregon Coast with Sacagawea in 1806. Lastly, the Flavel House Museum in Astoria is worth mentioning for Queen Anne architecture buffs. 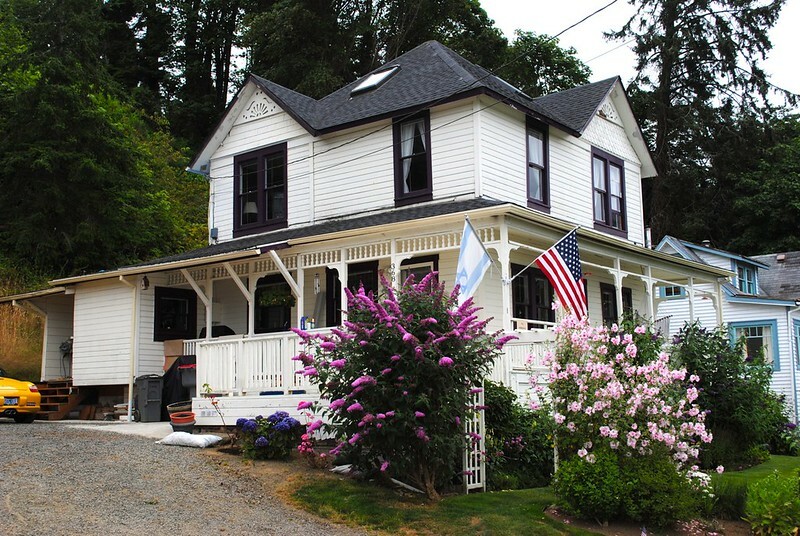 Captain George Flavel, one of Astoria’s founding fathers, built the house for his family in the 1880s and today it is lovingly preserved and open for tours. 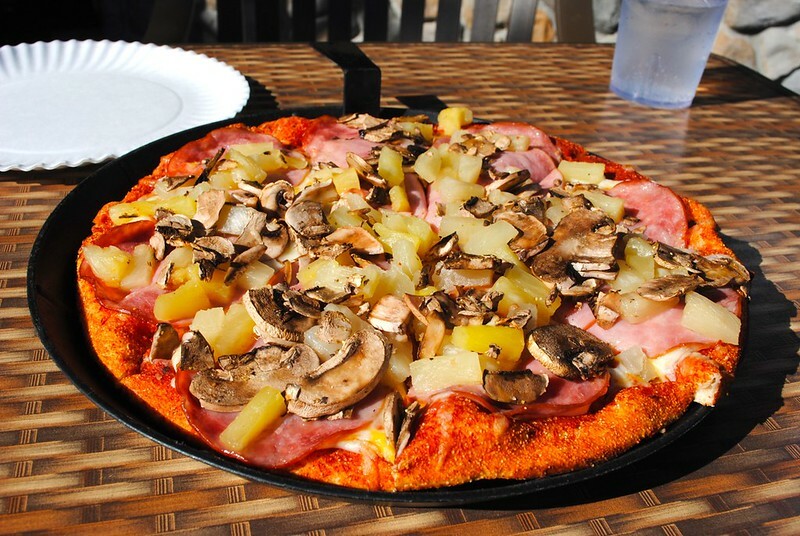 Best Place to Grab a Slice: You’ll notice a few Fultano’s Pizza locations throughout Clatsop County, but our favorite spot is the Cannon Beach location. The patio is tiny and a bit cramped, but the pizza is fresh and there’s abundant Sierra Mist on tap. Plus, the patio is dog-friendly! Last I heard, the house is no longer available for viewing. However, head into town instead to visit the Oregon Film Museum (housed in a very familiar former jail). The museum is chalked full of Goonies memorabilia! 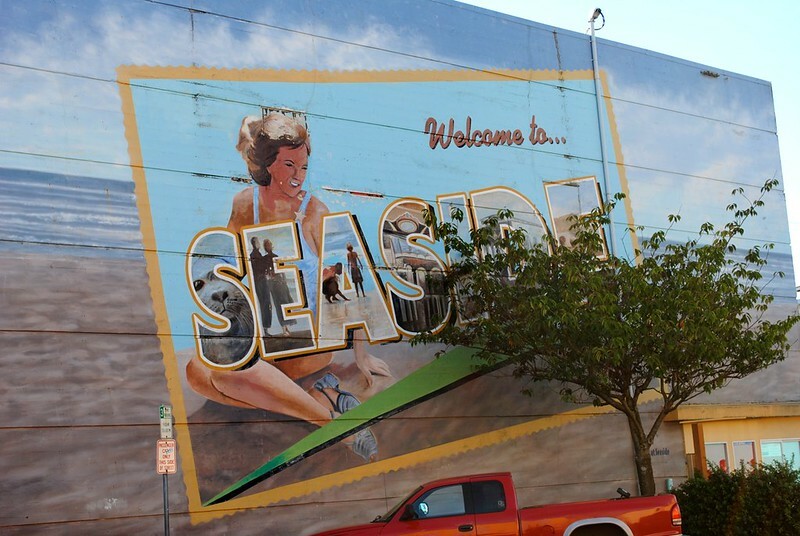 Best Dining Experience: The town of Seaside is cute and quaint with just the right amount of touristy kitsch. The Promenade is one of the town’s best draws, and it’s where you’ll find Maggie’s on the Prom. Dine outside overlooking the ocean, and dig into freshly made meals with unique, local-centric dishes that are hard to beat. Best Spot to Eat with Fido: The Lumberyard in Cannon Beach has gone to the dogs – quite literally. The patio is pooch-friendly and the staff will even set up your four-legged friend with a bowl of water and jumbo bone of his own to nosh on while you wash down your Section 107 NO PITY burger with a pint of local beer. This is the perfect post-surf spot to refuel! While I could go on and on with my recommendations, here are a few other honorable mentions. Best Ice Cream: Tillamook Ice Cream at Tsuanmi Sandwiches in Seaside. Best Sandwich: The same place you’ll find the best ice cream. 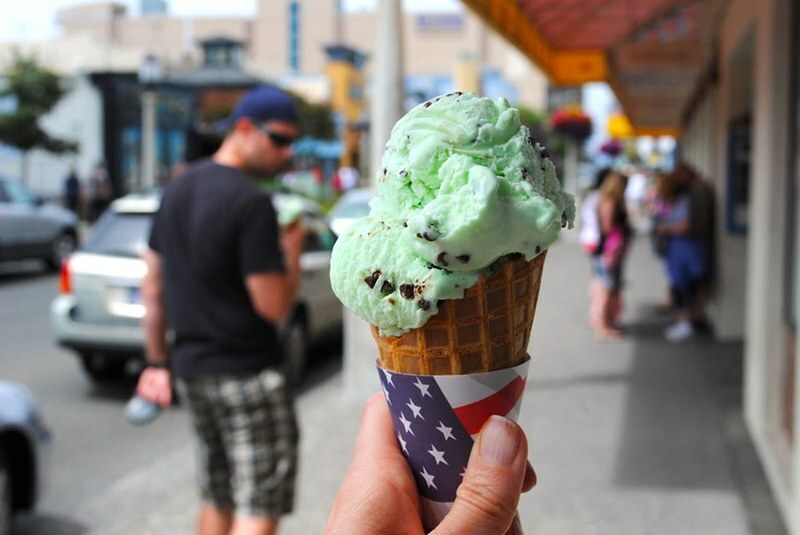 Best Day Trip: Head south to Lincoln City and stop at the Tillamook Cheese Factory en route. Best Pancakes: Any Pig ‘N Pancake location – the Cannon Beach spot is our favorite. 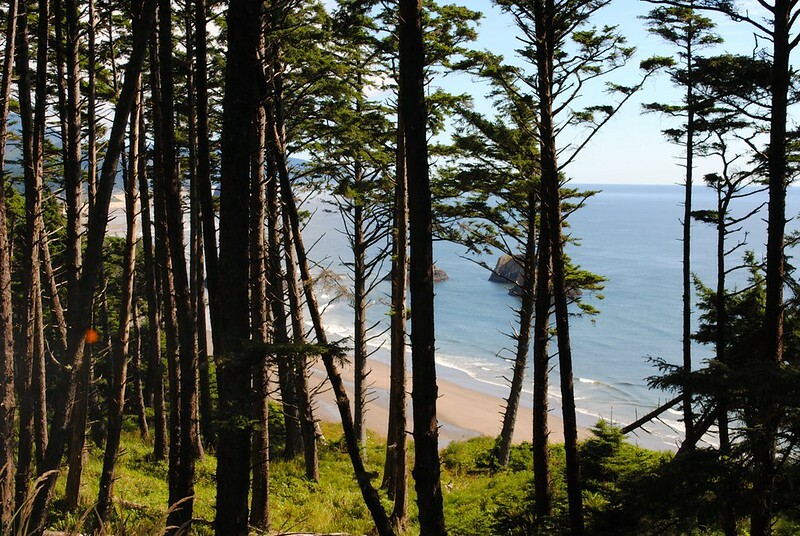 Have you explored Clatsop County? What are some of your favorite spots to explore? Leave a comment below. ← Wellness Wednesday: What Are You Fueling Your Body With?